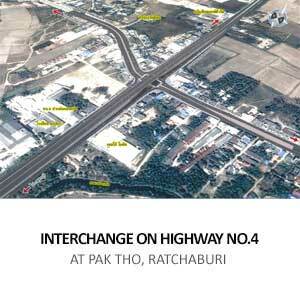 Construction of Highway Intersection consisting 4 nos. prestressed concrete bridge. Includes bridge approach structure, and expansion of road pavement. Includes piling, drainage system, street lights, traffic signs & markings.